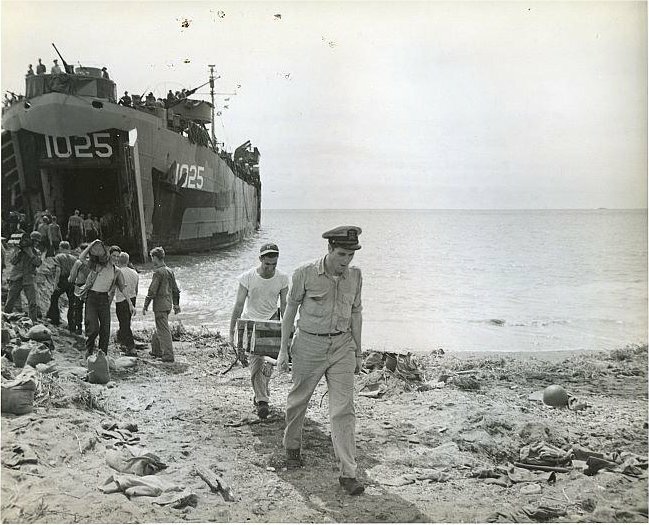 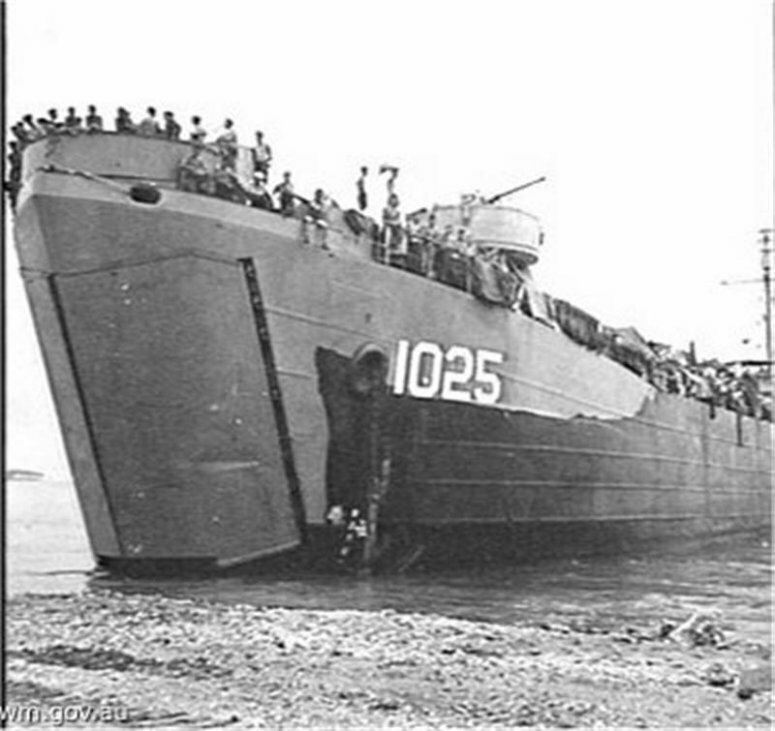 Final Disposition, sold for scrapping, 11 June 1948, to Walter W. Johnson Co.
94k USS LST-1025 beached at Mindoro Island, Philippines, 18 December 1944. 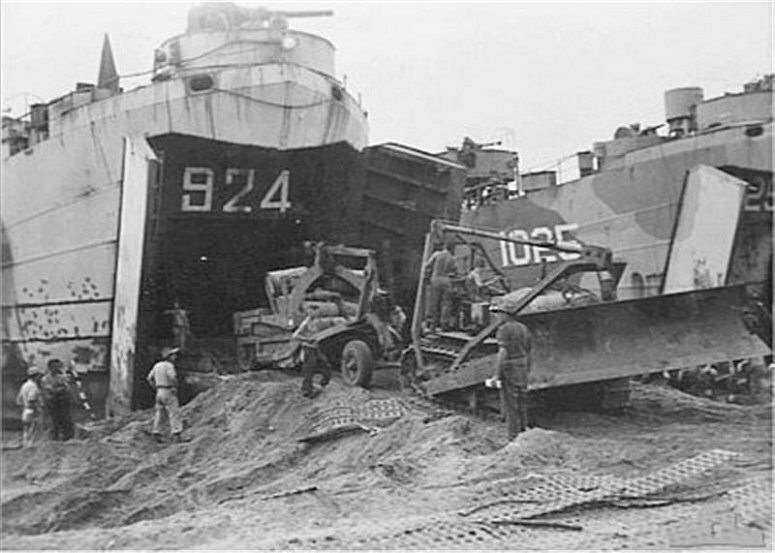 All hands work to off-load ammunition so the ship can retract from the beach. 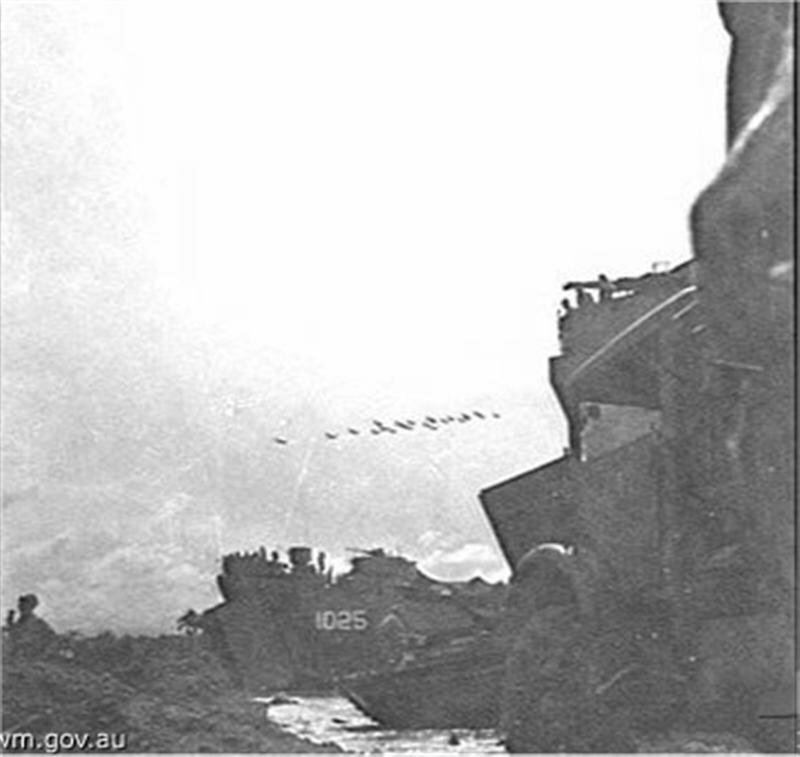 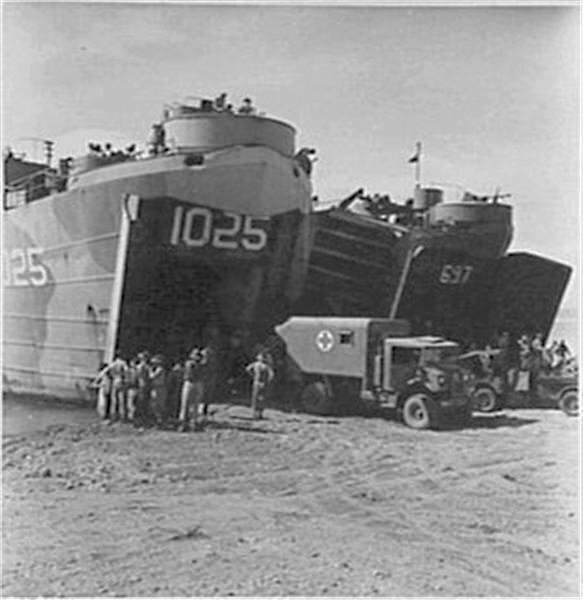 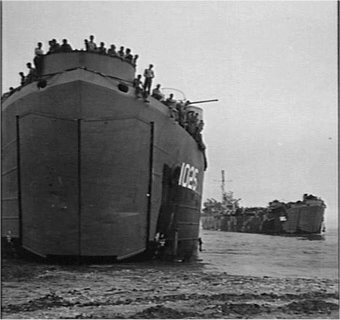 78k USS LST-924 and USS LST-1025 beached at Tarakan Island, Borneo, 1 May 1945, while the heavy equipment of No. 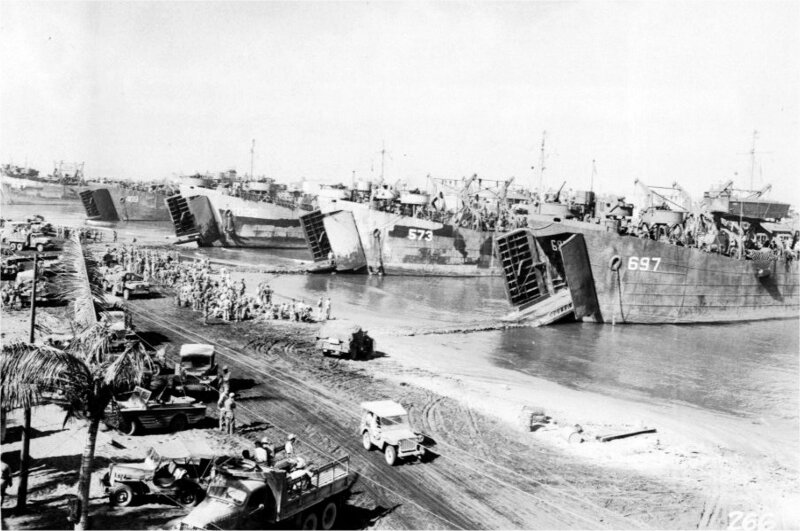 61 Airfield Construction Wing RAAF is being unloaded. 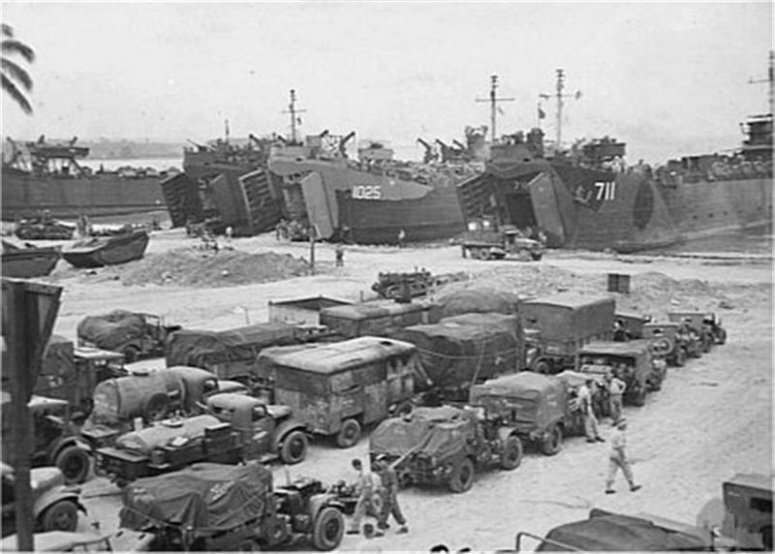 76k USS LST-711, USS LST-1025, USS LST-574 and an unidentified LST beached at Morotai, Halmahera Islands, Netherlands East Indies, 29 May 1945, waiting to load Royal Australian Air Force vehicles for the invasion of Lubuan, British North Borneo.